You said Meatballs? 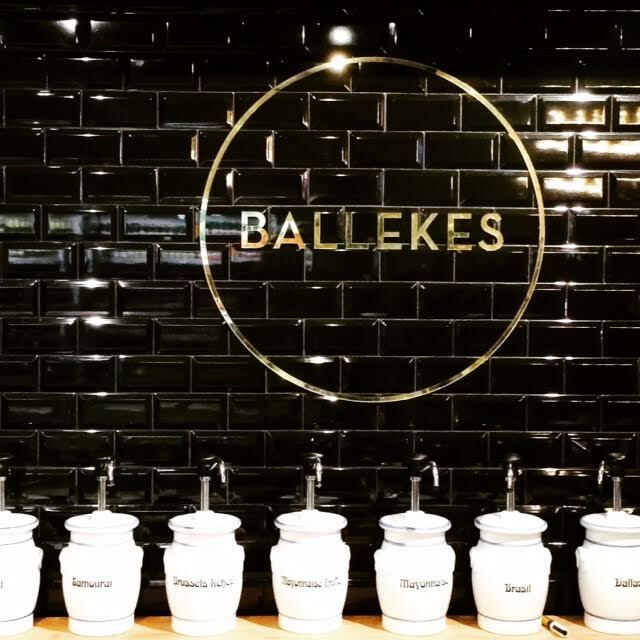 We tried out Ballekes, the new balsy place in Saint-Gilles. 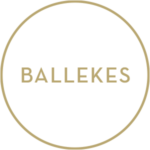 If you are looking for a typical Belgian place to eat, Ballekes is the place to go to! 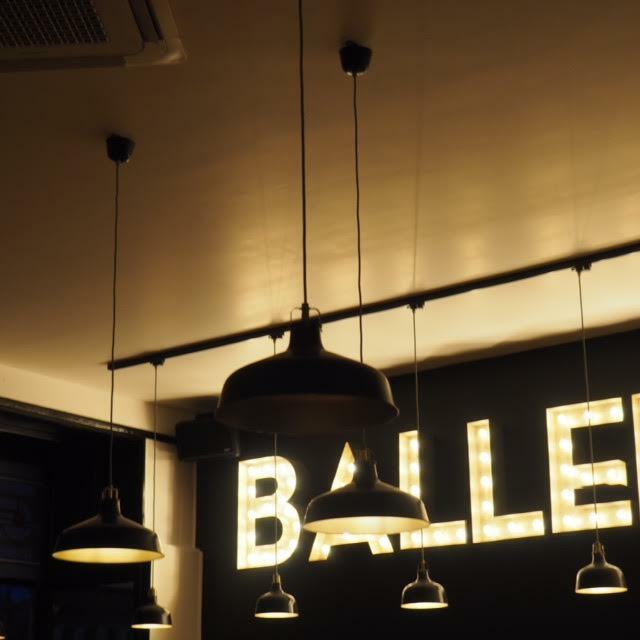 This restaurant just opened over a week ago in Saint Gilles, and as you may guess by the name, serves delicious Belgian meatballs. At the head of this oh so Belgian cuisine are Florence and Thibault, two meatball lovers who are real meatball experts. The recipes they use have been passed down to them by their grandma’s and their goal is to perpetuate the tradition with local ingredients. We had the pleasure to test their menu and it was exquisite. We got to choose what kind of meat we wanted (pork/beef, chicken or veggie) and then added our favorite sauce ? Brusseleir, Rabbit, Marol, Trappist, Schroumpf or Kriek to the meatballs. Of course, we took fries as a side dish and dipped them is some yummy homemade mayonnaise. 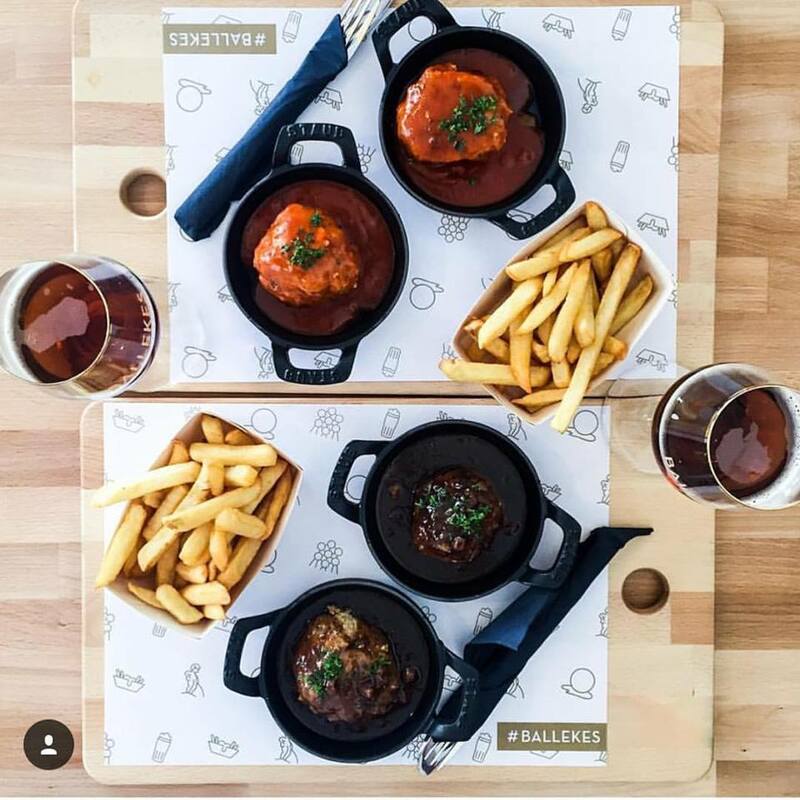 It all comes served on a wooden board with each meatball in an individual cast iron pan. As for the finishing touch, everything from the table to the glasses is marked with a Ballekes stamp. Speaking of decoration, you immediately feel that someone put their heart into it. Florence imagined it all, from the wooden benches, to the giant LED illuminated letters and even the Manneken-Pis inspired wallpaper. Light comes pouring into the restaurant through two big windows and the black and golden scheme gives a posh finishing touch to the place. 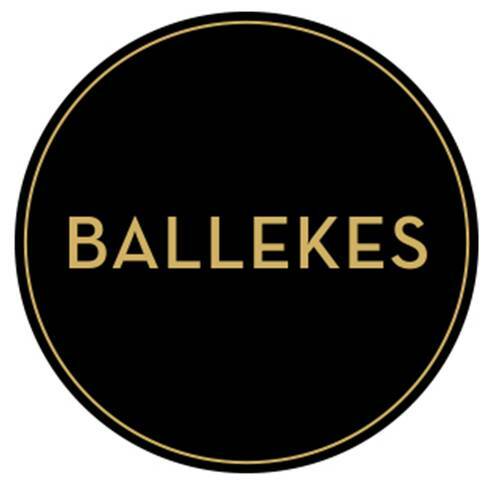 We will definitely come back to eat their delicious Ballekes again and have a taste of their other sauces. You will find more information on their website, Facebook and Instagram pages. 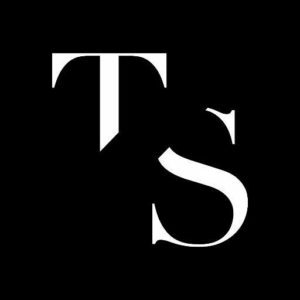 Trends Shaker blog is the result of a decisively innovative collaboration between the lifestyle expertise of Mélanie Dewulf & Julien Coppola a well renowned social media & web technology consultant. Our goal is to become an open and collaborative platform of selected subject matter experts which will contribute their passion for: home decoration, gif videos, international fashion etc. While focusing on upcoming designers in all fields we want to trigger curiosity and open-mindedness in our readers and contributors. 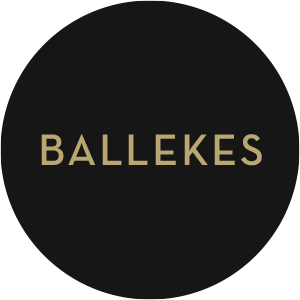 BALLEKES by Blog Blog Y a quelqu’un? ABOUT Blog Blog Y’a quelqu’un? Blogueuse maman mais pas que d’un âge canonique. Bruxelloise de naissance et de cœur mais toujours avec une idée de vacances ou d’évasion dans la tête. Maman de deux minus à qui je tâche de ressembler le plus possible (et surtout pas l’inverse). We have been thinking hard to create the best identity that will fit to our brand, our vision and our values. We wanted to keep it simple and at the same time we wanted our logos and pictos to be straight to the point.